Appalling. Eye opening. Frustrating. Difficult to watch……..
All the aforementioned could be used to describe the University of Louisville’s performance last night at #3 ranked Virginia. OK, to be fair, those adjectives would best fit the first half for Louisville. A half that showcased a scoring drought of epic proportions: the Cards did not score from the field for the remaining 10:38 of the first half. Taking nothing away from Virginia, the best defensive team in college basketball this season (yes, better than Kentucky), UofL reverted back to it’s porous shooting ways and blew multiple opportunities at the rim. All that to say, it was a borderline miracle that the Cards only found themselves down 11 at the half. On a brighter note, the second showed a UofL team that got off the mat and decided to punch back. Problem being, you can’t get down by double digits on the road against your conference leader and sure fire NCAA #1 seed and expect to just flip the scoreboard. The Cards did pull within a possession late before ultimately succumbing to a Virginia team that showed it’s viewing audience just why they are now 21-1 on the season. In the spirit of not recounting individual plays and replacing the DVR play back technology, I did have a few takeaways that are worth mentioning – at least from my standpoint. 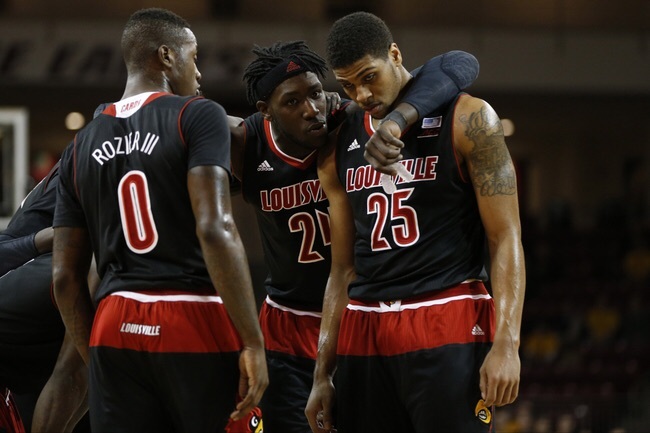 – Why did UofL show no sense of urgency by not ffouling in the last 30 secs down only 5? – Why can UofL literally not find A POINT from it’s bench? These are questions that may not have good answers, but ones that deserve some explanation. I find that this UofL team consistently struggles at with general basketball IQ. I also see a team that plays long stretches with little to no focus, playing as individuals as opposed to a team. It is certainly NOT all doom and gloom for the Cards despite having lost last night. The Cards do not have a loss against a team outside the AP Top 15. In the same breath, UofL could do itself a huge favor in preparation for March Madness by gathering a win against a top 15 team not named North Carolina. While wins against Ohio State and Indiana are not to be discarded, a rematch defeat of Virginia in a month would certainly be just what the RPI Doctor ordered. The Cards have been here before. They were knocked down last night and decided to get up – a good sign going forward. Focusing on and locking down two winnable home games vs PITT and NC State in the coming week should be enough to put a good taste back in the fans’ mouths and the players as well. Before patting the Cards on the back for the second half, remember UVA’s biggest star was out with a broken finger. UofL Most likely would have made a game of it…but probably not been that close.